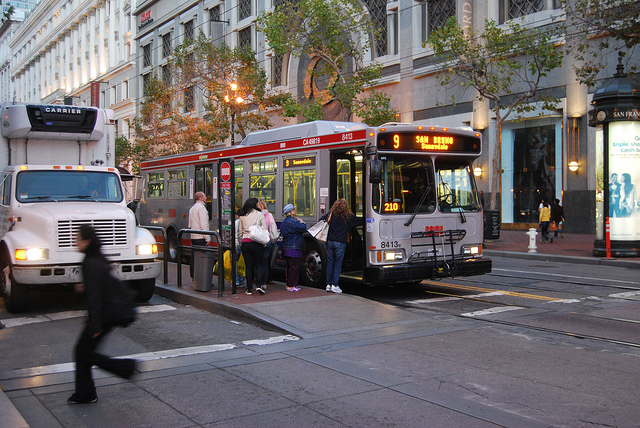 There are all sorts of unspoken rules for riding Muni. This we know, though we don’t all always follow them. Fair enough. But Muni rider Yorkman has a tale of a most unexpected bit of etiquette bestowed upon him last summer. On a Thu evening in July 2013, I boarded the northbound 9 line at Potrero and 24th St, headed downtown. My nose was running so I had to blow it maybe 4-5 times to clear it. A man sitting nearby took extreme exception to what he thought was crude behavior on my part, and strongly corrected me. He maintained that blowing my nose once or twice was OK but more was disgusting. Then I remembered that he had done the same thing to me about a year previously. At least this misguided patron of the etiquette arts is consistent. Hang in there, Yorkman. And do what you gotta do with your runny nose. Learn more lessons and hear stories that can only happen on Muni this Saturday at Muni Diaries Live. Get advance tickets today.